An increasing number of conferences, seminars and other meetings about green buildings and sustainable development are organized in Poland. In fact, if you are interested in the subject, you could potentially spend several days every week attending conferences and fairs just in the Polish capital. 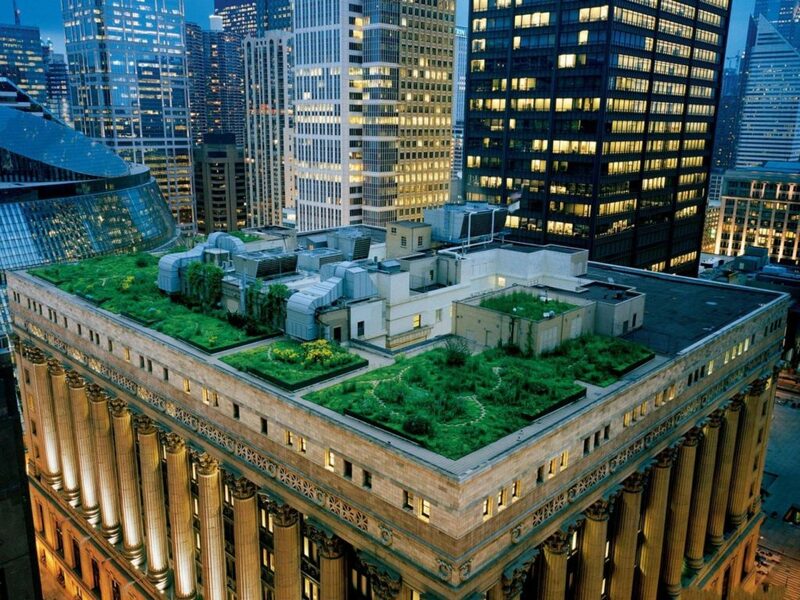 Nonetheless, green building is a rare topic. On 5 October 2016 in Warsaw, the symposium Sustainable Beauty: Human Health and Well-being in New and Refurbished Buildings, organised by the Polish Green Building Council, tackled various aspects of this important issue. The truth is that sustainable development is a very expansive topic that concerns all of us, whether we represent a business, an administration, a school or just ourselves as individuals. It seems Poland has discovered the challenge and world of possibilities offered by sustainable development. Therefore, it is a hot topic for Poland. And as often happens when a country lags behind in a field, it can end up leading the dance in certain ways once it starts to make serious progress. British architect Michael Pawlyn opened the symposium with an inspiring talk about biomimetics and biophilia in building. He provided some beautiful examples of projects he has worked on and the challenges he had to face and discussed nature as a source of inspiration for innovation. Pawlyn deeply believes in the crucial impact of a building’s design on user health and productivity. Although he is convinced of the positive impact a creative building, with a design based on natural properties, can have on employee productivity, and in turn a rapid ROI for the company, he recognizes that clients often find it hard to accept the extra cost of such an innovation or avant-garde design. Pawlyn presented the design for a sustainable factory in India that aims to meet both the human and environmental challenges facing the country’s textile industry. He charmed the audience with his impressive Sahara Forest Project designed to fight desertification inspired by the fog-basking beetle, which produces its own water in one of the driest area on Earth, to plant and maintain plant crops in the desert. If you’re not familiar with Michael Pawlyn and his projects, you’ll find this 2010 TED talk interesting. Alternatively, you can visit his company’s web page where projects are described in greater detail. Rudi Scheuermann emphasised the need for green spaces in cities. He quoted Gil Penalosa, who said “We need S, M, L green spaces; otherwise the human ecosystem is incomplete”. Scheuermann advocates implementing a variety of green spaces in cities: roof gardens, vertical green buildings, small grass squares and large parks. According to Scheuermann, one of the challenges cities have to tackle is temperature. The temperature in cities can be up to 12 degrees higher than in surrounding areas. For example, it is 2 degrees warmer in Berlin than outside the German capital, 3 degrees warmer in Los Angeles and 12 degrees warmer in Hong Kong; similar temperature discrepancies have been recorded in Melbourne or London. One can only imagine how much energy we could save if we could reduce urban temperatures. On the other hand, green spaces can cool urban temperatures. Green facades or spaces can play a dramatic role in reducing temperatures. According to Scheuermann, by covering only 20% of buildings with green (facades and/or roofs), the urban temperature could be reduced up to 11 degrees as has been simulated in Hong Kong. And the good news is that there are many benefits of lower temperatures and more green spaces in cities. The biodiversity is preserved, allowing insects to return to the urban areas (including precious honey bees). People feel less stressed thanks to the increase in green spaces and the city is quieter as green spaces absorb noise. The quality of the air is improved and, finally, all these factors lead to better health for citizens. Maybe in the future doctors will prescribe us nothing more than a few square meters of green space? After these two inspiring special guests, the symposium continued with a panel of building professionals who discussed whether existing buildings should be destroyed or refurbished. The five panelists are members of the industry: Maciej Kiepal, Area Sales Manager at Armstrong Building Products, Rafal Schurma, Founder and Chairman of the PLGBC as well as Founder of Visio Architects and Consultants, Adam Targowski, Sustainable Development Manager at Skanska Property Poland, Pawel Warda, Director of Project Operations for CEE at Jones Lang LaSalle and Marcin Wroblewski, Project Manager of the Infrastructure Office of the City of Warsaw. The panel expressed a general consensus. Although economic rationality is usually the primary factor in the decision-making, all the panelists agreed that refurbishing buildings should be preferred because it is more environmentally friendly and preserves building with history that lend character to their surroundings. The final discussion brought together representatives of green building certifications: Anna Braune from DGNB, Natasha Franck from WELL Building Standard, Sue Clark from LEED, David Leonard from BREEAM and Patrick Nossent from HQE. Currently, only the WELL certificate, based on medical research and advocating design as a way to preserve user health and well-being, is not yet on the Polish market. In Poland, 328 building are certified, a large majority of them (75%) under BREEAM. LEED certified 77 buildings in Poland and HQE four (see the report of the Polish Green Building Council for an overview of the green building certification in Poland). Although DGNB certified 1200 buildings in 20 countries, it only had one building certified when the PLGBC report was published. David Leonard of BREEAM mentioned two certified buildings in Warsaw: the IRIS office building, certified as BREEAM very good and Jasna 26, a tenement house adapted into office space, certified as BREEAM good. All the panelists agreed on the difficulty of convincing a developer to certify a building since rental prices are no higher for certificated buildings on the Polish market. But they are all unanimous in their belief that it is risky not to pursue certification. The moderator, Jaroslaw Witek, Sustainable Development team leader at Arup Polska, concluded that one can hope that construction on the apartment market will follow the same trend that began with office buildings: a few years ago certificates were unknown and rarely implemented in Poland. Today. professionals always apply for a certificate when planning a new building.